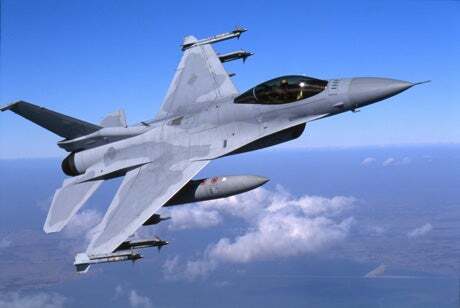 Lockheed Martin has unveiled a new version of the Fighting Falcon fighter jet, F-16V, at the Singapore Air Show 2012. The new aircraft, designed to meet changing customer requirements, features an active electronically scanned array (AESA) radar, an upgraded mission computer and architecture, and an improved cockpit. The upgrades were based on the capabilities that were identified by the US Air Force and other international customers, which will enable the aircraft to operate alongside the 5th generation fighters, F-35 and F-22. The ‘V’ designation has been derived from Viper, a name given by the pilots for the F-16 fighter jet and the enhancements can be retrofitted into existing F-16s. With nearly 4,500 F-16s delivered, this is the next step for the world’s most successful 4th generation fighter. The AN/APG-68 radar-equipped F-16 with wind-corrected munitions dispenser infrared navigation provides the pilot with separate air-to-air and air-to-ground modes, including long-range, all-aspect detection and tracking, simultaneous multiple-target tracking and high-resolution ground mapping. The F-16 aircraft is also widely deployed by the air forces of Israel, Egypt, Iraq, South Korea, Chile, Poland, UAE, Bahrain, Greece and Singapore. The Fighting Falcon programme began with the lightweight fighter F-16A/B and underwent continuous transitions to F-16 C/D and Block 60 versions as per emerging customers’ requirements. Image: Lockheed unveils new version of Fighting Falcon, F-16V at the Singapore Air Show. Photo: Lockheed Martin.